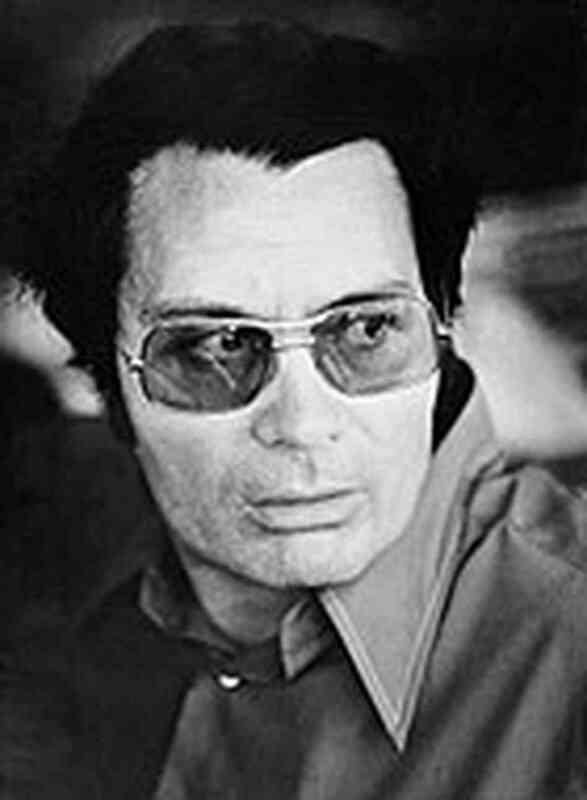 In October 1973, Jonestown was established by Rev. 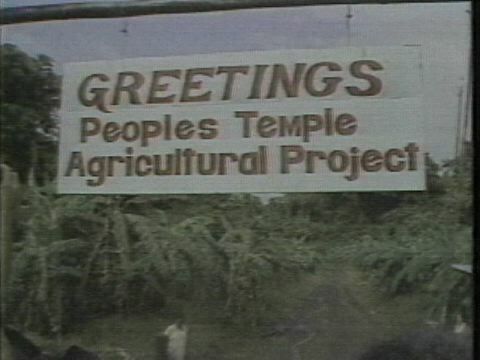 Jim Jones and his cult fellowship, the Peoples Temple. Just a month later, they made history by committing an incident of mass murder/suicide, killing over 900 men, women, and children. The investigation into the tragedy revealed most of the victims drank or were poisoned by a flavored drink laced with cyanide and other drugs. The event has spawned the expression "drinking the Kool-Aid", which is used to describe a rather extreme, ill-fated loyalty to someone or something. Jonestown teaches us a lesson of critical thinking as well as vetting who you trust. This can be applied to religious authorities, our social lives, but at this moment, this lesson needs to be applied to who we trust to represent us. To really apply this wisdom, we need to examine how this group managed to be created and why people were willing to kill and die for the cause. "Instead of answering why people live and die, they tell us why certain wars are happening, explaining crime rates, and giving their own idea and supposed evidence of how the political system and government work." The intention of the People's Temple for most was to escape a life of lacking and inequality. When Jones gained his popularity, it was 1955. The civil rights movement was just starting and he capitalized on the need for socio-economic equality. The Temple was led by Jones to reform society by creating a “socialist Eden on Earth”. Like most cults, they worked to provide a place where everyone could belong. At the start, the people were happy in Jonestown and living the dream. Eventually, though, they woke up into a living nightmare. The reality that we all know is that Jonestown was an idea backed and built to benefit one maniac. Jim Jones wanted people to follow him, yet many were blind to his true desires. When he spoke of unity, his true intention was not to help others. Most, if not all cults, seem to follow the same pattern. The structure of cults is not unlike that of political parties and organizations. One charismatic leader, a strict chain of command, and a central idea. "Here, the individual encounters a profound threat to his personal autonomy. He is deprived of the combination of external information and inner reflection which anyone requires [to test] the realities of his environment and to maintain a measure of identity separate from it. Instead, he is called upon to make an absolute polarization of the real (the prevailing ideology) and the unreal (everything else)." (Cult Research). Instead of answering why people live and die, they tell us why certain wars are happening, explaining crime rates, and giving their own idea and supposed evidence of how the political system and government work. They require loyalty, just like cults. It may not be as severe as willingly signing over property, but the next similarity shows that any major party may push things to that point. The last and most unnerving is how politics changes us. People who believe in those messages lose grip on their own objectivity due to seeds of control being sown for years in our own psyche. Without evidence, were thrown into war and mass media spends decades preaching their manifesto and shutting down dissenters through blacklisting and smear campaigns. To the people in the Temple, Jim Jones was their voice. He told the truth while everyone else either lied or hid behind their money. Jones was their protector and everyone was out to hurt them. He showed the members that those who criticized him were corrupted, publicly showing mercy and sadness towards those people. Yet, as Jones' influence grew, his danger also grew. He drew guns on people, provoked mob violence against his own colleagues, and when allegations and testimony proved he was sexually abusing members, he pressured all the parents signed false statements confessing that they had abused their children. Nowadays, we have this story as a reference to why we need to stop believing everything we hear. This is not a polarized view towards liberals or conservatives, but a call to both sides to think rationally before investing a political term or your shares (in good spirits or bad) to something you don’t want to support. Liberals, remember, the main support for the Trump 2016 campaign came from those who were trying to shame him, as well as the failings of the Obama presidency. Conservatives, neither Obama or Hillary would have had a leg to stand on if it wasn't for the damage caused by Bush, Reagan, and extremist white nationalism. Today when we see the news or read posts, there’s new madness in politics and entertainment, we immediately take a side. That’s human nature. However, psychology is being used against the layperson. Billions of dollars are being exchanged among imperfect stations. The truth is hidden, but not in the way we think. Isolation, manipulation, extremism, and fraud are the cornerstone of any good cult. They do not operate in truth, only to disguise it as a ploy for their physical or theoretical enemies. They use their platform to push a wild idea and force their supporters to identify as being one of them, then shame those that don’t follow as supporting the opposite of that same wild idea. -"You didn’t like Hillary not supporting Bernie? Well, you must be a Trump supporter since you love Republicans." -"Oh, you don’t like that Trump is building the wall? You must like criminals crossing the border, stupid liberal Hill-bot." I wrote this article to speak for the martyrs of tyranny, including but not limited to Mother Christine Miller. 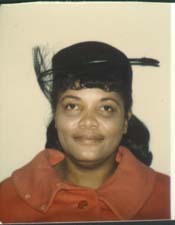 She was one of the people who fought to stop the tragedy at Jonestown, which can be heard on the infamous “death tape”. Her influence there and her story of bravery in the face of Jones, and still had everyone’s respect has followed me for a long time. Her voice is immortal, and after you read her story, I hope it will help you think twice before raising arms against your perceived enemy. When the truth threatens our fantasies, we're quick to disassociate, and it enforces the truths we are told. Small misgivings or even misunderstandings are blown up, twisted to prove their side right, while major problems are hidden. When you are already braced for a war to defend an idea, anyone speaking against it will be hushed and painted as a traitor.